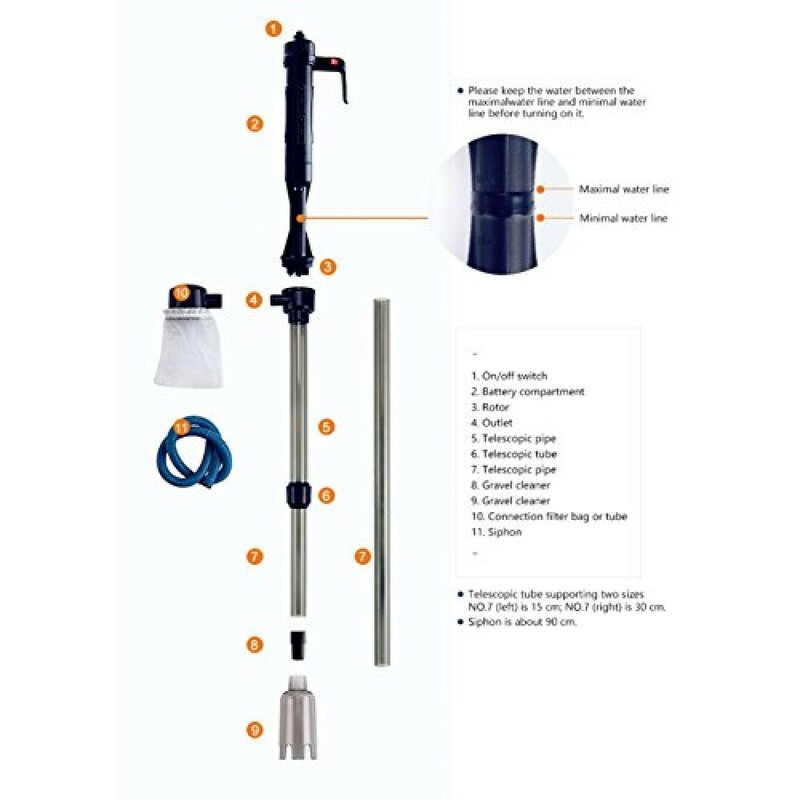 1.Installed gravel cleaner,please keep the water level between the MAX and MIN,then strat switch.When the outlet can draw water,raise the gravel cleaner,let the head and outlet above the water. 2.Idle spin out of water can't beyond one minute. 3.Batteries must be installed on the right way. 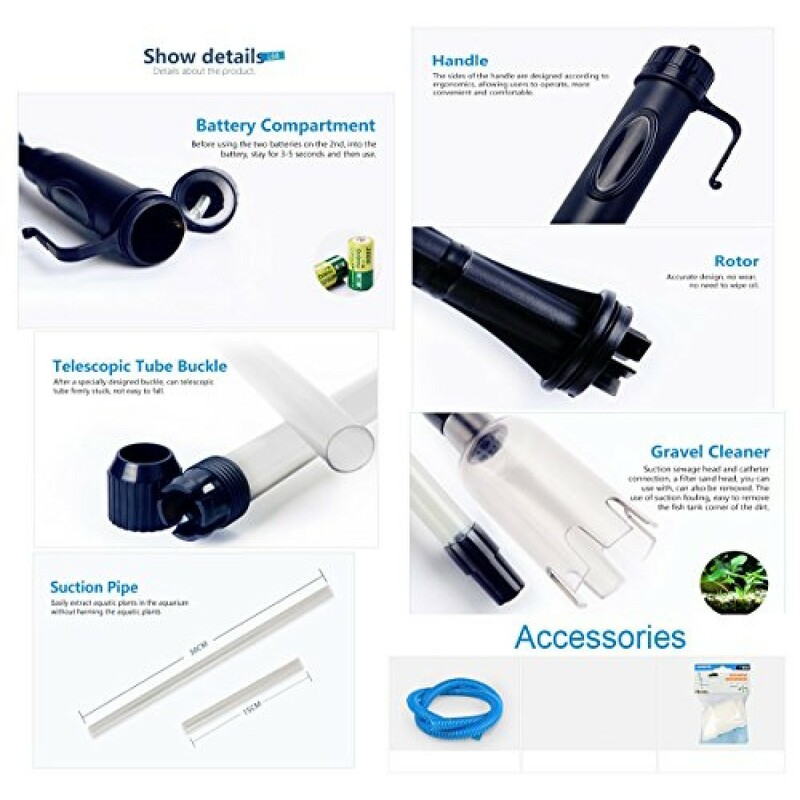 The cleaner pumping function is work by siphon effect. Put the start water line which below the handle into water when you use the cleaner and turn on the switch. If the water level is really too low, you can take out the No. 2/3/4 extension tube and pump directly by the No. 1 sand-washer mainframe. Please be careful avoid over the water level above the guard line. Installed gravel cleaner,please keep the water level between the MAX and MIN,then strat switch.When the outlet can draw water,raise the gravel cleaner,let the head and outlet above the water. 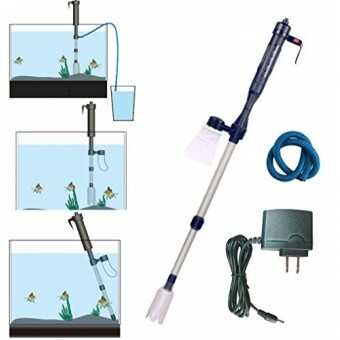 Can clean gravel, siphon the fish excreta and other dirt out effectively without requiring a water change. Any fish owner can tell you that having a fish tank in your home can be a delightful addition to your life. However, changing the water can be an unpleasant and hassling chore. With the Aquarium Grave.. 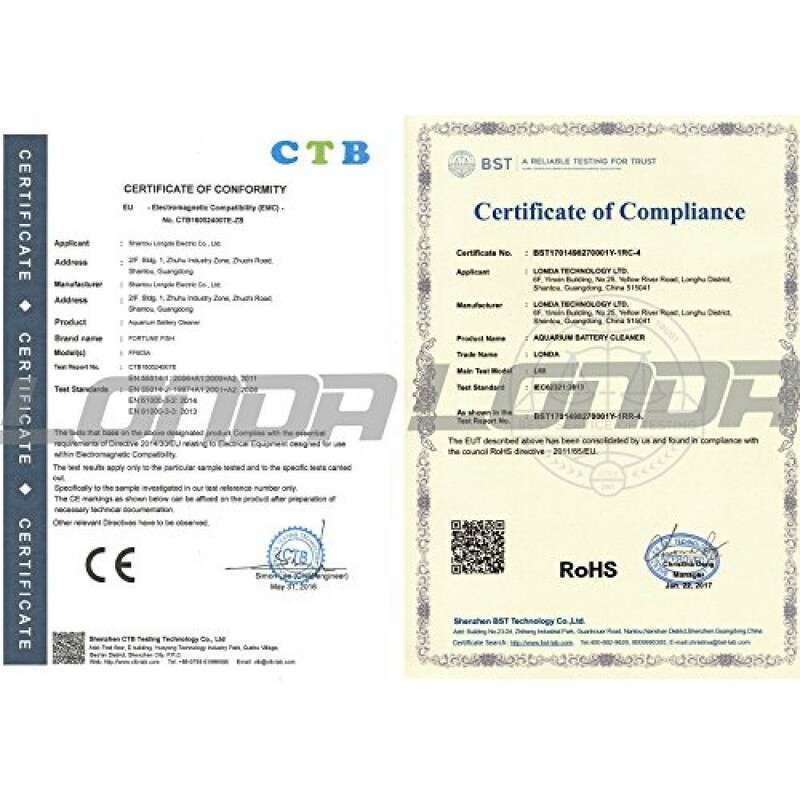 Specifications: Model: WT-180A Housing: Plastic Type of battery: 1*AA batteries Attachment Method: retaining clips or Velcro fixed Unit dimensions (approx. ): Feed box diameter: 7.5*3.7cm(Lx H) Pa.. Install: 1. Rim-mounted (bracket screwed) : Edge of the stent placed in the tank, tighten the bracket screwed. 2. free-standing (double taped) over the aquarium: Velcro on both sides will be separat.. Notices: 1.Must be used 4" or more below the water surface. 2.Please wear protective case if used on turtle aquarium. 3.Suitable for aquariums 55-99gallons,If your aquarium is over 99 gallons, buy .. 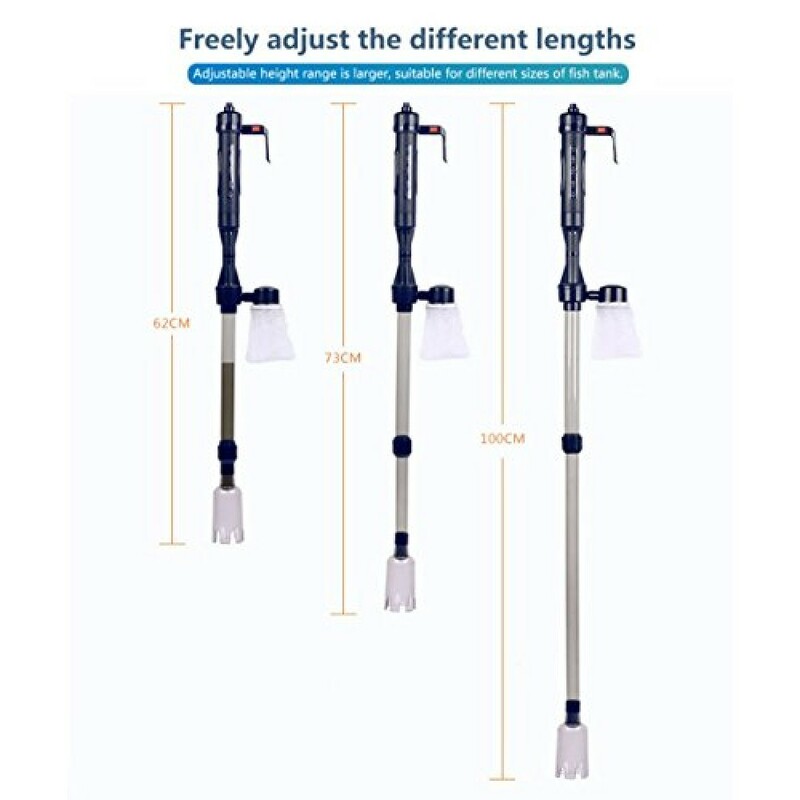 Features: Stretchable handle (1.8ft to 2.6ft length) Material: ABS plastic Color: Black, blue Pack Size: 29 * 20.8 * 3.3cm It can be easily assembled and disassembled with the strap. Remove the dirty ..